31 Unforgettable Secrets of Extraordinary Mothers, Scripturally And Historically, Who Have Changed The Course of Nations And Generations. 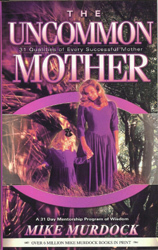 This Book Opens Up Understanding of The...Role / Responsibility / Rules / Rewards of True Motherhood. A MUST For Every Mother.